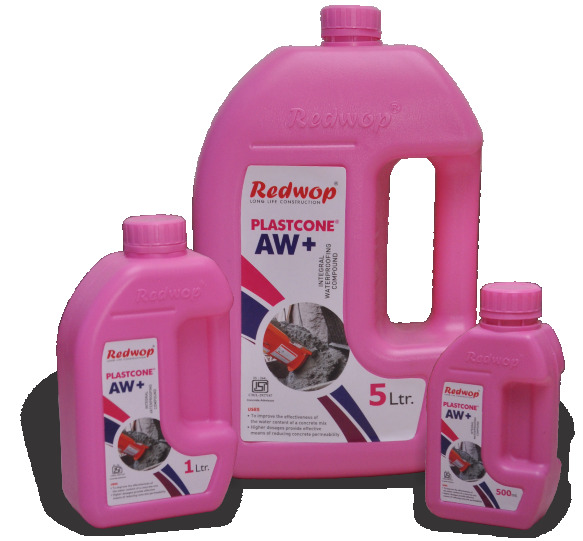 PLASTCONE AW+ Advantages: Allows specified strength grades to be met at reduced cement content or increased workability. Water reduction significantly improves compressive strengths at all ages and enhances durability through the production of low permeability concrete. Minimizes the risk of segregation and bleeding and assists in the production of a dense, close textured surface, improving durability. Chloride free, safe for use in prestressed and reinforced concrete.